Solar Photovoltaic, (Solar PV) cells use energy directly from the sun to generate electricity. There are no emissions of CO2 with a PV system and no moving parts. Electrical power generated by Solar PV can be used on-site to meet existing demand and surplus power can be exported to the grid. ZLC Energy can deliver approved commercial and domestic Solar PV systems. We only use MCS approved products and integration skills to ensure that the systems will meet expectations. 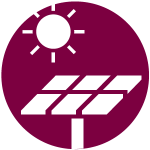 PV systems work best in direct sunlight but also generate electricity when conditions are less favourable. However, electrical output is dependent on the amount of sunlight that falls on the surface of the unit and for this reason un-shaded, south-facing surfaces produce the best results. When installed correctly and with the right conditions, Solar PV has a range of potential benefits. A south facing roof is optimal. However, if your house faces east or west, you would still gain sufficient savings from your installation. Your ZLC Energy surveyor will talk this through with you. An angle of between 30 – 45 degrees is optimal for Solar PV, depending on your location in the UK. Our engineers can advise you on the best solution for your home. However, we can mount panels at any angle from 15º to 50º. Outside that range, the panels would start to lose performance. If your home has a flat roof, ZLC Energy can also install an angled frame to your existing roof which holds the solar panels at the optimum angle and direction for maximum energy production. This type of installation may involve gaining planning permission, and ensuring the roof structure is capable of holding the weight of the panels – ZLC Energy are experienced in completing all of this on your behalf. At ZLC Energy we understand that every house is different – we can discuss your requirements and our team can design the most efficient system for the space available. A typical 4KW system would be 8m long x 3.5m deep. Most roofs are structurally capable of holding a solar system, however, as part of your survey, we will ensure that everything is just as it should be. We are experienced in working on a variety of roofing materials, including local slate tiles. To qualify for the Feed in Tariff, you will need to produce an EPC – Energy Performance Certificate for your property, demonstrating that your home has an energy efficiency rating band D or higher. Most homes will be a band D or higher, however, we can advise you on the best approach if your home is older and less efficient. We can carry out an EPC if you need one. Solar Radiation levels vary throughout the UK, with South West locations seeing around 10-15% more than the national average. We calculate to the MCS design guide and simulate output using PVsyst so you can be sure our figures are trusted. Do you have space inside your home? The bulkiest piece of equipment is the inverter. It needs some clear space around it for cool air to circulate, so we recommend a space of about 1.5 metres high by 1 metre wide. Our surveyor will check this with you when we visit. How is your home connected to the grid? Most homes have a single-phase connection. This will support a system of up to 4kWp, which is usually the maximum size for a domestic property. 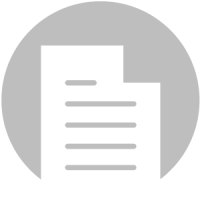 If you have plenty of space and want a bigger system we are experienced in seeking permission from your distribution network operator (DNO) and can guide you through the process. We can also offer a unique energy management system, using the IMP from Wattstor – a smart switch system that will manage your energy storage to gain maximum efficiency. 1. Guaranteed income for every unit (Kwh) of all electricity generated. 2. Savings of between 10 and 15 pence per unit (kwh) dependent on your current tariff. 3. Around 5 pence per unit for excess energy exported to the grid. 4. Various options for finance are available to control capital cost and make solar energy systems affordable. 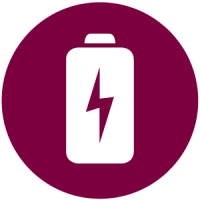 If you install an electricity-generating technology from a zero or low-carbon source such as solar PV or wind turbine, the government’s Feed In Tariff scheme (FiT) could mean you get money from your energy supplier. You can be paid for the electricity you generate, even if you use it yourself, and for any surplus electricity you export to the grid. And of course you’ll also save money on your electricity bill, because you’ll be using your own electricity. 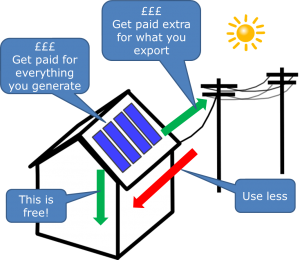 Export tariff – you will get a further 5p/kWh (non-solar PV as of 1 December 2012) from your energy supplier for each unit you export back to the electricity grid, so you can sell any electricity you generate but don’t use yourself. This rate is the same for all technologies. At some stage smart meters will be installed to measure what you export, but until then it is estimated as being 50% of the electricity you generate (so that if your solar PV system is less than 30kWp you do not need to have an export meter fitted). Energy bill savings – you will be making savings on your electricity bills, because generating electricity to power your appliances means you don’t have to buy as much electricity from your energy supplier. The amount you save will vary depending how much of the electricity you use on site. We can help you maximise your savings by using as much of your own electricity as possible. Who pays me the FiT? Energy suppliers make the FiT payments, with the ‘big six’ energy suppliers required by law to provide these payments. Some smaller electricity suppliers may not offer FiT payments as it is not compulsory for them to do so, though many have opted to offer the payments. The tariffs available and the process for getting them depend on when the technology was installed, and whether the system and the installer were certificated under the Microgeneration Certification Scheme. When you are ready to go ahead with investing in Solar PV, we will arrange for a survey of your home. One of our team (usually Matthew) will come and get all the details we need for your install to go smoothly. We will check your roof orientation, and details such as shaded areas, so that we can recommend the best panels for you. We will also check your roof structure to make sure we can install the panels safely. We rarely find any problems, but in the unlikely event there is an issue we can advise on the best solution. We’ll take all the measurements we need, both on the roof and to arrange the scaffolding. We’ll also talk through any special requirements you might have. Matthew has years of experience surveying homes for solar, and there’s probably not a question he can’t answer! Once we have all the information we need, we can provide you with a quote for your install. This will give you our recommendations and options for the best panels, arrangement and inverter for your home, so that you get the best generation for your investment. When you are ready to go ahead, we will arrange your install – booking in the scaffolding and finding a date that suits you for the installers to come to your home. 100% of customers asked were highly satisfied with how our surveyor answered their questions. Although solar is known as a ‘fit and forget’ technology, regular maintenance can make sure you get the highest generation possible. Keeping the panels clean from dust and dirt will make sure they perform at the maximum capacity, giving you the most clean, free, energy possible. It is also advisable to have periodic safety checks. Whilst all products and workmanship are very carefully regulated to make them as safe as possible, there can sometimes be unexpected issues – we once replaced a panel damaged by seagull dropping a crab! If you want to get the most from your panels once they’re up and running, we can offer great value maintenance to suit you. If I install solar, will it affect the value of my house, or make it harder to sell? Recent research suggests that house prices and desirability are not negatively impacted by solar PV. In fact, people are much more aware of the benefits of solar now. How do I choose the best panels? Solar is a high cost purchase, so it’s advisable to research your options. However, the world of technology moves quickly, and solar is no different. Each manufacturer (and there are many) is constantly improving the efficiency of thier panels, so it can be a challenge to accurately compare the different options. Chris keeps a close eye on all the industry developments, and is obsessed by the details. We will happily talk you through the pros and cons of the panels on offer. What does the inverter do, and are some better than others? The inverter changes the DC power generated by your panels into AC power used by the appliances in your home. When we recommend an inverter for your system, we will take the time to explain our choice. There are lots of things to take into account, for example, some inverters perform better with shaded systems than others. We are accredited installers for a range of products and manufacturers so we can give you the best service possible, carefully tailored to your needs. For Peter Sproston, renovating his 1960's property at Penpol gave him a 'golden opportunity' to include renewable energy in his rebuild.